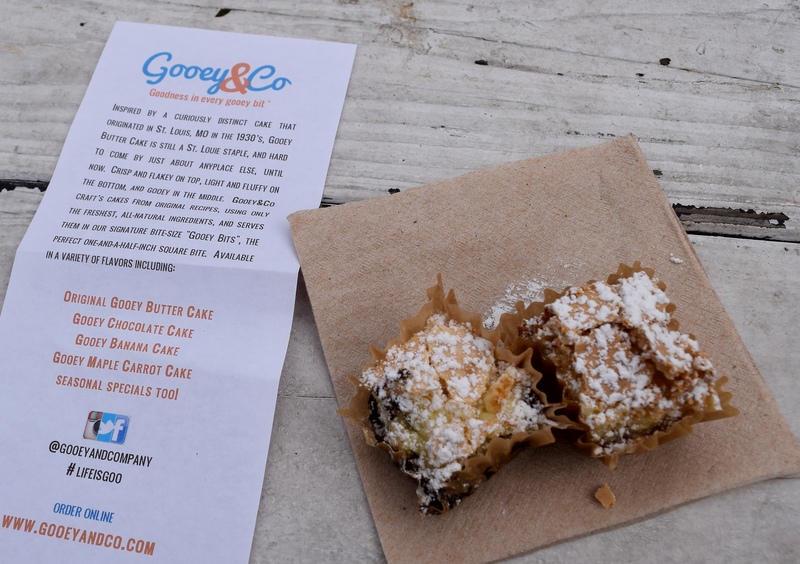 I have always been interested in food trends and travel so it was with excited anticipation I checked out Smorgasburg in Brooklyn, New York on Halloween. 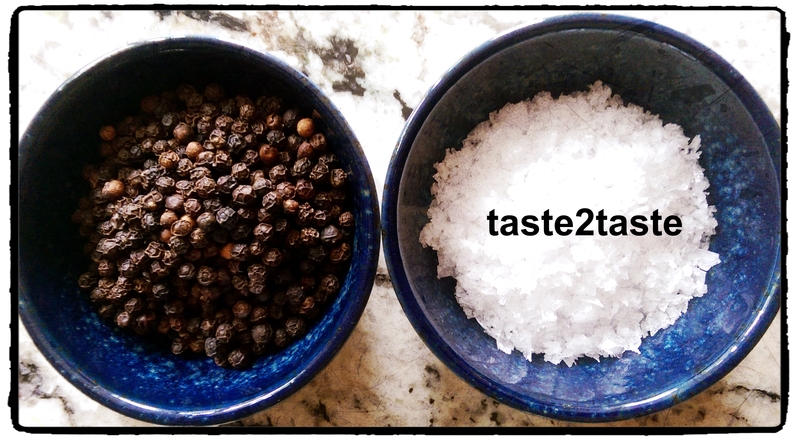 This is a must for street food lovers that started in 2011 as an off shoot to Brooklyn Flea. 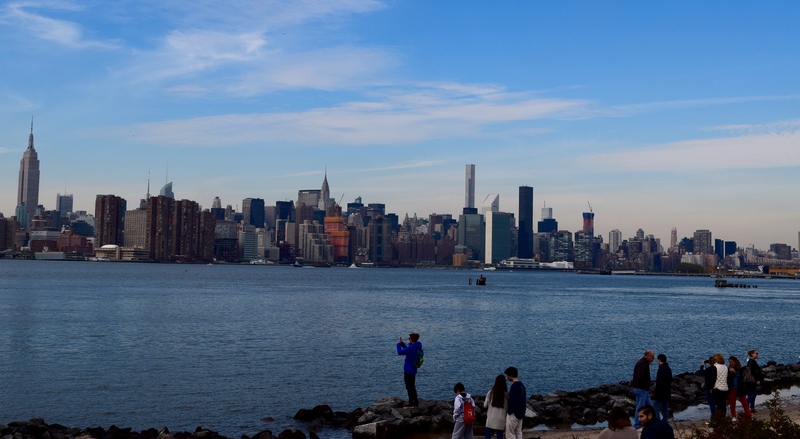 It is held every weekend outdoors until 21 November at East River State Park (Kent Avenue & N 7th Street) on the Williamsburg waterfront. In the Winter Smorgasburg & Brooklyn Flea go under cover at Industry City, Sunset Park ( 241 37th Street, Brooklyn). I met over 50 vendors selling a wide cornucopia of street food from classic American fare of burgers, sliders, grilled cheese sandwiches, pulled pork, smoked brisket, porchetta, ribs, mac n cheese, jerky, lobster rolls to more regional specialities such as soapillas (New Mexico), cheesesteak (Philadelphia, New Jersey), parm (Italian American), battered cheese curds (New York), fried chicken & andouille gumbo and po’ boys (New Orleans, Louisiana), oysters (Rhode Island, Maine, Nova Scotia, Canada). There were different cuisines represented including dosa’s (fermented rice & lentil stuffed pancakes from South India), pho (Vietnamese noodle soup), mofon (mashed plantain, garlic, adobo spices from Puerto Rico), arepas ( Columbian stuffed wraps made of corn or quinoa), campo seco (Italian dried sausage), and starwurst – ( German sausage with onion sauce). 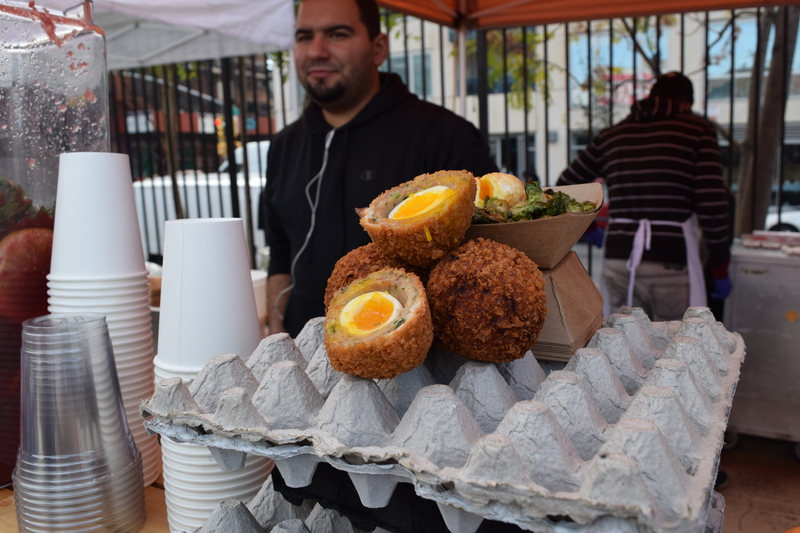 I was surprised to see scotch eggs – a British classic of boiled egg wrapped in sausage meat, dipped in breadcrumbs and fried. I was even more surprised to find out it was a Frenchman who visited London, tried them and decided to bring them back to New York! 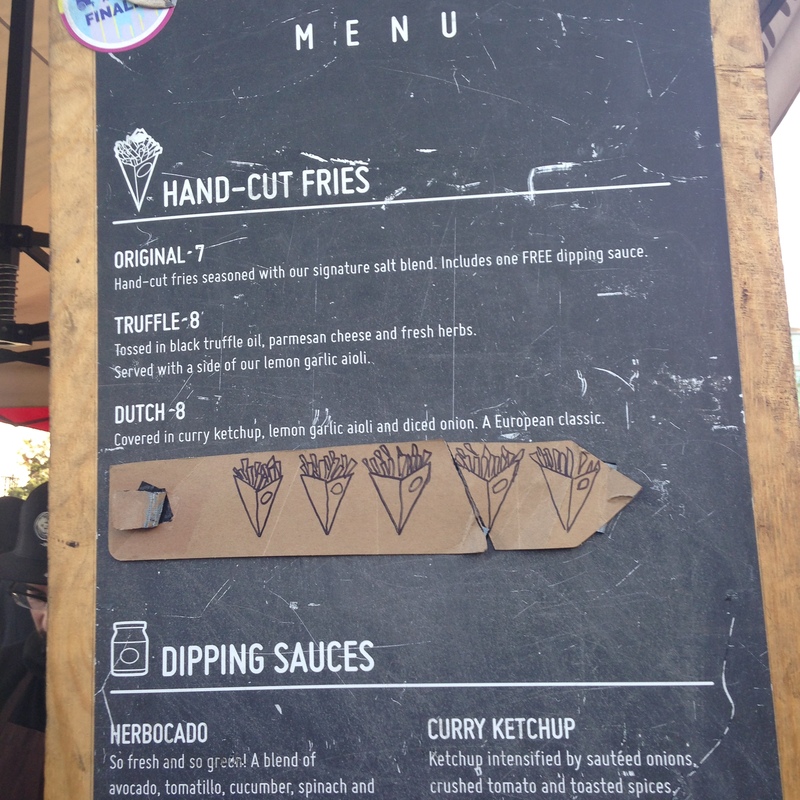 They had some interesting flavours including Moroccan mergeuez sausage, Mexican chorizo & deep fried brussel sprouts as a veggie option! Scotch Eggs from a Frenchman in New York! With so many options to choose from I decided I would try the two stands with the longest lines, one sweet, one savoury. 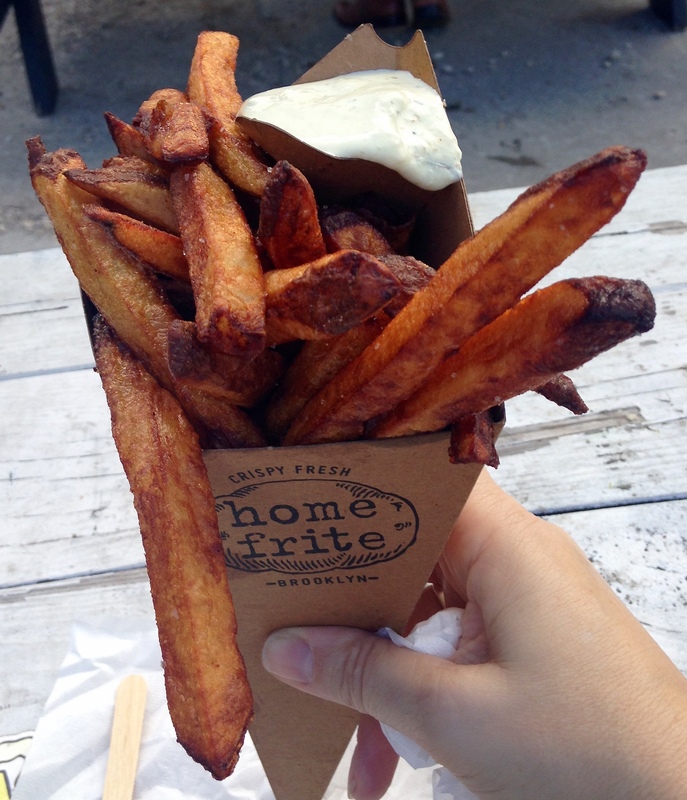 I started with Home Frite – hand cut fries served with a range of interesting dips. 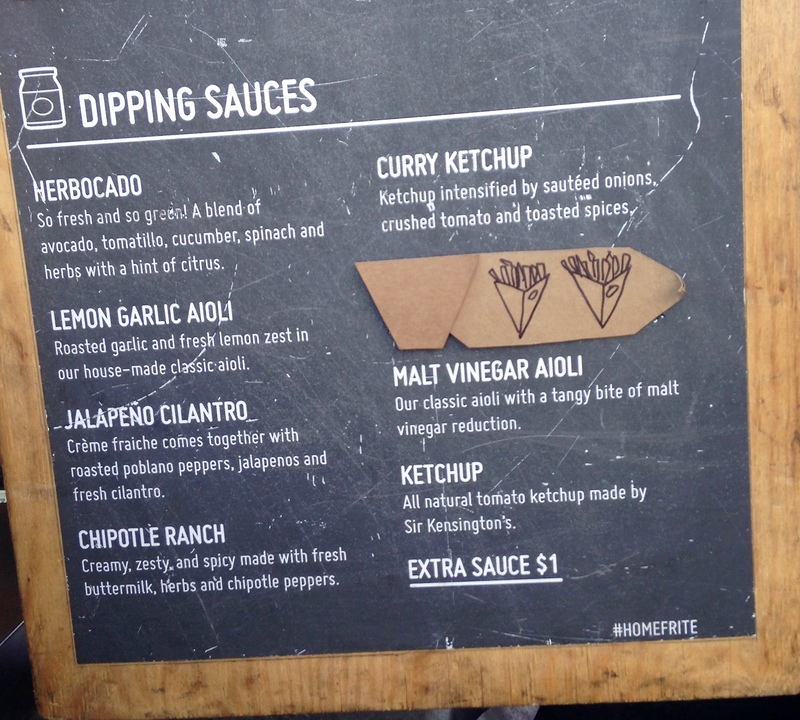 The most popular dip was lemon garlic aioli but I decided to try the vendor’s favourite, chipotle ranch which was tangy, creamy with a chilli kick and a great pairing with the fries. For my sweet fix there were many American classics on offer including donuts, cookies, whoopee pies, and cheesecakes. I decided to try something I have never had before- butter cakes from Gooey & Co, a speciality from St Louis Missouri created in 1930’s. They were bite sized layered cake bites with a cake base, custard middle layer and crispy crumble top. They were sweet, gooey and quite indulgent but a perfect finale. I would have loved to taste more at Smorgasburg so in the words of Arnold Schwarzenegger I’ll be back!